Request "No Better Than This" At Radio! John Mellencamp Community > MELLENCAMP.COM ANNOUNCEMENTS > Promote John > Request "No Better Than This" At Radio! The title track from John's forthcoming (in stores Aug. 17) album No Better Than This is the first single from the album. The song along with the entire CD has been sent to multiple radio formats, including AAA, Americana and Non-Commercial. Be listening for it! To find your local station in these formats please click HERE and search for your local area. Now is an ideal time to contact your local radio stations listed below and request the single No Better Than This or ask them to play some tracks from it! Hearing interest from their listeners will help encourage them to play John's new music more. Drop us an email at help@mellencamp.com if you hear the song on your local station and when. * Personalize all email requests by mentioning the DJ's name, something that happened at their station or in you community or something you heard the DJ say. Make sure they know you are a real listener! 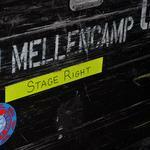 * Do NOT mention you are a fan club member, street team member or part of the Mellencamp fan community. These requests are coming from you as a real listener so don't give them an excuse to think you are not sincere or that you were put up to it. Your requests come from the heart and are honest requests to a station you really listen to and that is all they need to know. * Don't email the same DJ more than twice a week. Don't email the same station more than once a day. * Try not to use fan related email accounts. It's better to send requests from your real name or a generic email address so that you don't sound like you are part of a fan club. * Keep your requests friendly, fun, and upbeat. * Try to be patient and polite at all times and eventually your positive input will help encourage them to play songs from the CD. * When you request, don't just say. “I love John Mellencamp”. Focus on the CD and tell them why No Better Than This excites you and that you want to hear songs from the CD. * Do not mass mail your requests to more than one station at a time. * If you hear a John Mellencamp song played on your local station, call them up to thank them. They love positive feedback and that will actually help more than the request itself because it shows you were listening and moved by the song! Click on the link below for the complete list of phone numbers, emails and request contact information. Re: Request "No Better Than This" At Radio! Please call your local stations a few times this week and enter your requests for the single and the album! It's climbing the charts but we need YOUR help!